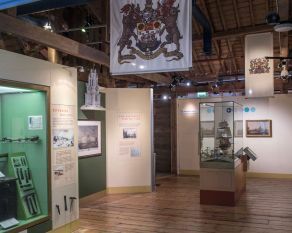 This gallery tells the story of how ships sailed from London to India and China and brought back cargoes of spices, tea and silk. This gallery charts the rise of the port of London in the two hundred years leading up to the building of the modernised docks. 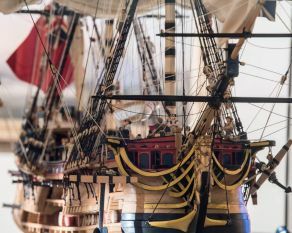 This cutaway model of an East Indiaman shows the ships that brought the riches of India to London. Play an interactive game & take the role of captain on a trading voyage. This stone probably stood over the entrance to the East India Company shipyard at Blackwall. East Indiamen, trading ships that sailed from London to Asia, were built here until 1831. 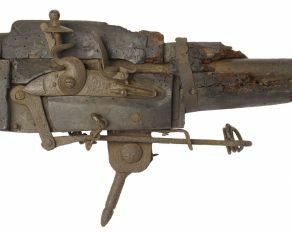 This gun was used as a booby trap to guard warehouses in the Port of London. The gun would be mounted on a swivel, firing if a burglar stepped on a trip wire. This display of whale bones and narwhal horns explores the whaling ships that operated from London from 1600-1800. 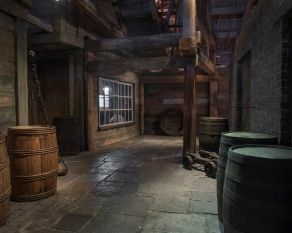 One section of the gallery recreates a late 18th century "Legal Quay", the crowded and chaotic waterfront area, where porters, custom officials and merchants rubbed shoulders. 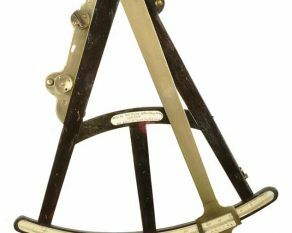 This octant, designed by John Hadley, was a vital navigational aid during the age of sail. 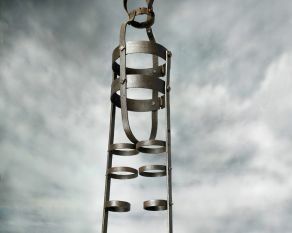 It was used to measure the altitude of the sun above the horizon at sea. 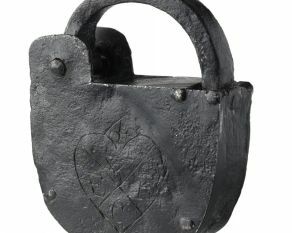 This lock was used by lightermen, who operated lighters on the river Thames. These flat-bottomed barges were vital to unload cargo from ships before the building of the docks. 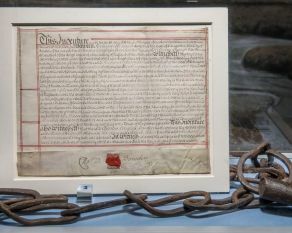 This chain was used to secure executed pirates at Execution Dock. Crime was rife on the chaotic 18th century river Thames. The bodies of executed pirates and other criminals would be publicly hung in gibbets like this one, as a warning against piracy and mutiny. The gallery is on the third floor and can be accessed by lift. 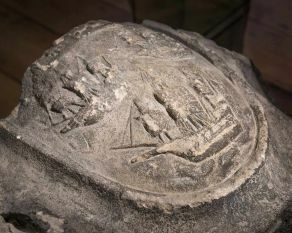 Finds along the river foreshore show the depth of London's history. Our children's gallery is perfect for under-8s.